WASHINGTON (AP) Bryce Harper is still a Washington National, with the two-time defending NL East champions hoping he can lead them on another playoff run after a season-long funk. Washington opted not to trade Harper, who’ll be a free agent after the season, after listening to offers for him. The Nationals didn’t do much else, either, before Tuesday’s trade deadline, shipping out a relief pitcher but otherwise standing pat as the two teams ahead of them in the division – Atlanta and Philadelphia – made moves to upgrade their rosters. 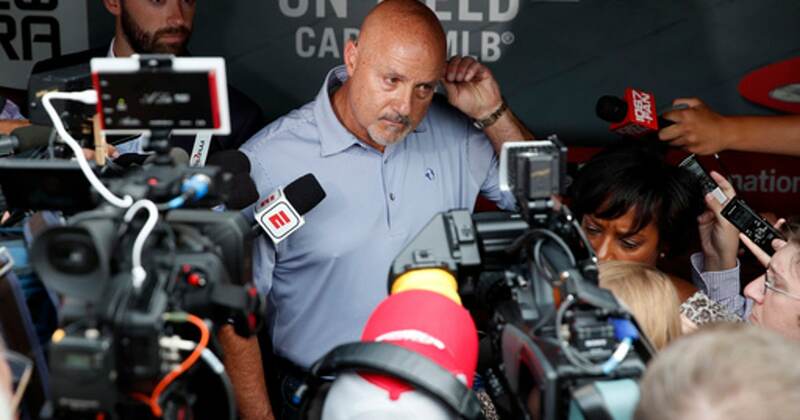 General manager Mike Rizzo said he had discussions with other teams about a litany of players and Harper was one of them, with several teams having more than a passing interest. He said the team did its due diligence on Harper and five or six other players, but there wasn’t a deal that made sense. ”It would have to be a spectacular set of circumstances for us to move a player of Bryce Harper’s ability level, and we didn’t get anything that met those qualifications,” Rizzo said. Rizzo said after reports surfaced that the team was looking to trade Harper, he told the 25-year-old outfielder Monday night that he wasn’t going anywhere. Harper said he was glad to be staying in Washington. Washington’s only move was to send late-inning reliever Brandon Kintzler to the Chicago Cubs for a minor league pitcher, one year after acquiring Kintzler from the Twins. The Nationals open a two-game series against the Mets having gone 10-14 in July, but they’re still within striking distance of the Braves and Phillies. Atlanta added pitchers Kevin Gausman and Darren O’Day from the Orioles Tuesday, and the Phillies picked up former Nationals catcher Wilson Ramos from the Rays. A six-time All-Star, Harper is hitting just .220 but has 25 home runs, tied for second in the NL entering Tuesday’s games. ”I’m very happy to write Bryce’s name in the lineup still and looking forward to writing it in every day,” manager Dave Martinez said. Rizzo said the Nationals made their deadline move early – acquiring closer Kelvin Herrera from the Royals on June 18. With 57 games left, Rizzo’s inaction delivered a message.